WARNING: This column does not rely on statistics to back it up. It is simply based on observations and conclusions I have drawn from those observations. If you want statistics, try reading, well, someone else. There’s been some interesting things going on in sneakers lately, provided you know where to look. Things that are hiding in plain sight. That hyped-up release from two weekends ago that would have sold out in a matter of hours a couple years ago is still on shelves. Restocks bring back virtually everything from the past year—making me wonder whether they’re truly “restocks” or retailers cannily attempting a drawn-out sellout by releasing fewer pairs initially. Meanwhile, consignment shops like Flight Club are virtually choking on full size runs of “limited” sneakers that in some cases are still available at retail. 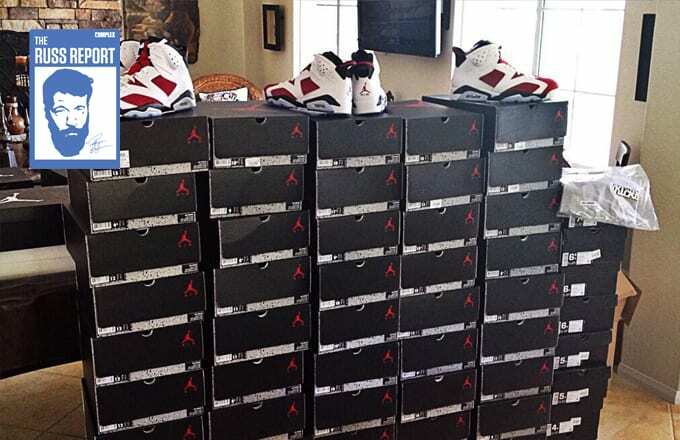 As of this morning, they have 37 pairs of French Blue VIIs. Maybe don’t try and resell those now. I grew up in a pre-retro era where every single Air Jordan went on sale. There’s been a bit of a perfect storm of events that have led us here, one that could have been easily predicted. (Me? 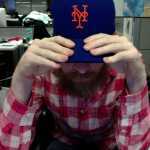 I’ve been crying wolf on this stuff for so long I barely even listen to myself—but I was bound to be right eventually.) First, the cycle of releases has gotten much faster. Instead of one “must-have” release hitting every month, or even every week, there are multiple “limited” drops happening every single weekend, as well as some days in between. This has been amplified by the ability to buy sneakers from any corner of the world, which means nearly any limited drop anywhere is open to anyone with an Internet connection. Then there’s the matter of prices. Maybe the average price of sneakers hasn’t gone up much, but they certainly have on the high end of the scale where most would-be resellers live. For someone willing to buy a sneaker on the secondary market, $200 for a pair of retro Jordans isn’t that big a deal. But for someone looking to make money, that cuts into profits. A $20 jump in retail price could be the difference between someone buying a full size run and not buying at all. And if a shoe doesn’t sell out on the first day, it might never sell out at all. 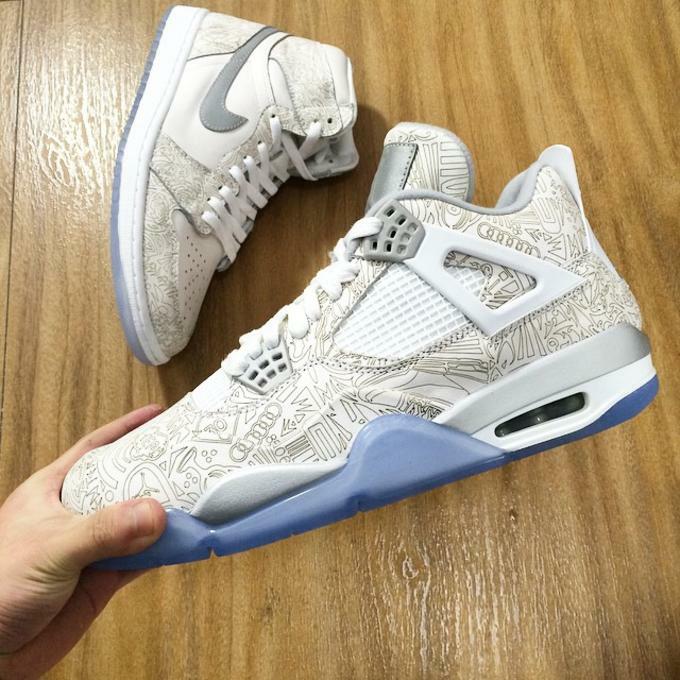 The Air Jordan IV "Laser" released with much fanfare and is still sitting on some shelves at $250 a pop. Which leads us to the third thing, the paradox of people wanting what they can’t get and not wanting what they can. If there’s one thing that’s remained constant in sneaker culture it’s this: people want pairs that other people don’t have. And whether that’s a matter of keeping pairs on ice for a decade or camping out for a week to buy the latest ultra-limited drop, the end result is the same. Yes, there are exceptions—it would likely be impossible to flood the market with, say, black/red Air Jordan 1s to the point that no one would want them anymore. But with other, more niche releases, what sells out in 500-pair (or even 5,000-pair) runs likely won’t do the same if they were produced in the hundreds of thousands. There is a point where, if supply was continually increased, demand would actually go down. We seem to be at the point where, with some releases, that line is being crossed. It’s been especially interesting seeing revived smaller brands essentially repeating the actions (too many colors, too many models) that led them to be shuttered in the first place. Will this kill sneaker culture? No, not at all. 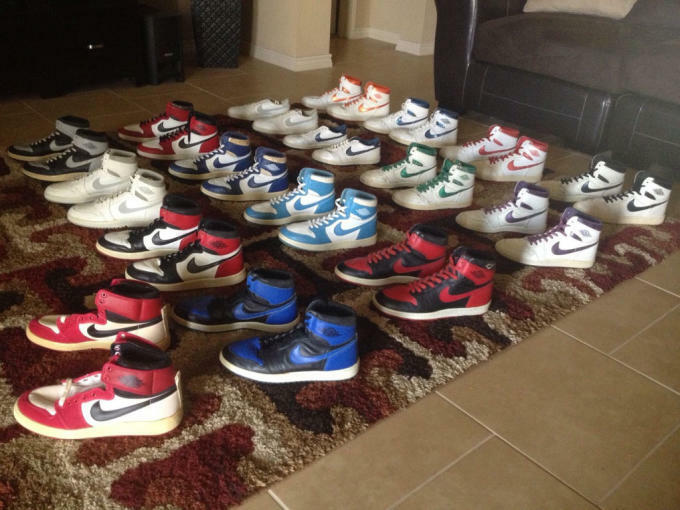 I grew up in a pre-retro era where every single Air Jordan went on sale (which was when I bought them). This didn’t hurt the prestige of the brand or make the next model any less desirable. Then again, that was a time when there were four, maybe five Air Jordan models released in a calendar year. If you look up “men’s Jordan shoes” on Foot Locker right now, there are 522 results. Even discounting slides and such, that’s easily more than a pair a day. That’s just one brand. To look at it another way, Finish Line currently has 882 models of men’s sneakers on sale—in most cases multiple colorways of each. A better question is, can sneaker culture continue in its current form? Maybe it can. Projecting the future isn’t my strong suit. All I can really do is look at what’s happening now, and honestly, it doesn’t look good.